When it comes to smartphones, the company you invariably think of first is Apple, and then perhaps Samsung, as the South Korean firm is the largest phone manufacturer out there, and is responsible for the flagship Galaxy line. Then there's the likes of LG and HTC. One company that probably wouldn't be first to mind though is Huawei. Despite its low profile in western markets, amazingly it is the third largest smartphone manufacturer in the world in terms of sales. You might not even know how to pronounce the name - it's Wah-way. The problem is the company has never really managed to create a truly great phone - many of its releases now, including most recently the Huawei P9 and Huawei P9 Plus, have been very good, but not brilliant. So what can be done? Here's five things the company could do that might finally mean it makes a five-star phone. A regular frustration with Android is how manufacturers will pack their handsets with their own apps and software - or "bloatware", as it is known. This is despite Google's stock Android being a perfectly serviceable operating system. Unfortunately, Huawei is particularly notorious for this and tends to pack its phones with a heavily re-skinned version of the OS. The "Emotion UI" replaces many of the 'standard' apps and icons with Huawei's own, and gets rid of the app drawer in favor of an iPhone-style system of listing apps on contiguous home screens. There's also some downright weird choices in the software. Huawei is a Chinese company, and its camera app is a good example of how an international audience may differ from the company's local market. In the app there's a "beauty mode", which enables you to apply different effects directly to your photos - including "nose slimming" and "face whitening". This latter option is certainly… provocative, to say the least. In any case, these are the sorts of features that you'd expect to find in a separate app, perhaps. All of this might be bearable too if Huawei's software wasn't so buggy and weird. Due to the underlying nature of the way it works, Android is never going to be as slick as iOS - but Samsung can still turn out an interface which looks slick when in action. In our experience of Huawei devices, there's just something slightly shonky about them - which rather removes the sheen. What's most frustrating is that the evidence that Huawei can do it right already exists, as the company manufactures the stock-Android Nexus 6P for Google. Why over-complicate things? Though Huawei is an underdog to a certain extent, it hasn't stopped the company's launches being huge, glitzy affairs with giant projector screens and celebrities. But no fanfare can make up for the fact that design-wise… Huawei devices look pretty unremarkable. Even this design video above is practically screaming "hey, it's a boring rectangle!". The P9 is a device that appears to have been more than slightly inspired by the iPhone 6 and iPhone 6S, while the Huawei P8 and P7 which preceded it are boring slabs. It's hard to pin-down exactly what the design needs (that's why designers exist), but there must be something Huawei can do to give their handsets a real, premium feel. When you have software that is broadly commoditized (complaining above about the bloatware excepted), the big challenge for phone makers is to differentiate themselves from the competition through hardware features. In this regard, Huawei's record is patchy. It can't be said that the company isn't at least trying to do new things, as each major flagship release seems to come with something we haven't seen before. On the Huawei Mate S for example, the company beat Apple to the inclusion of Force Touch and the problem here wasn't the idea (Apple seem to be making it work), but in the implementation. Simply put, developers aren't rushing to use Huawei's APIs to integrate Force Touch into their app - so pretty much the best thing you can do is push a little harder on images and have a "magnifying glass" pop up that zooms in relative to how hard you press. It's unwieldy, and more hassle than simply pinch zooming like we've been doing for years. Other features are similarly tepid. 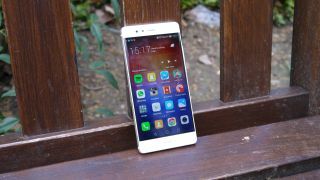 Since the P8 Huawei has tried to popularise what it insists on calling "Knuckle Sense". This is the idea that you can tap on the screen with your knuckles - not your fingers - to trigger different functions. Rapping on the screen like you're knocking on a door takes a screenshot. And on the home screen if you use your knuckle to draw different letters of the alphabet, you can launch different apps (draw "C" for camera, and so on). This is a nice idea in principle, but seems like an odd choice to focus on when Huawei phones are missing features that are fast becoming standard. For example, the P9 is great for your knuckles, but lacks wireless charging, fast charging, waterproofing - and that marker of a top-end phone in 2016: A QHD display. Perhaps the trick for Huawei is going to be to think laterally: If it can't match the behemoth that is Samsung on power, or the hulk that is Apple on prestige… then why not concentrate on something it can conceivably do well: Battery life. Survey after survey of consumers shows that a better battery life is at the top of the list of consumer wish lists, but the manufacturers still persist in using every improvement in battery technology to include more whizzy graphics - losing any gains in the process. So why not do something radical: Forget the race to make phones that are microscopically skinnier than competitors, and instead make a phone that is fatter… but one that packs the most enormous battery Huawei can muster. Imagine if there was a phone that you knew, even if you used it continuously all day, would last at least 24 hours. It'd be pretty tempting, right? 5. Premium or budget… pick a side! Ultimately the problem for Huawei is one of position: It seems to fall between two stools. Does it want to be challenging the likes of Samsung and Apple for the premium smartphone crown? Or does it want to be a scrappier budget challenger, that offers a great set of features at a great price? When it launched, the P9 was £449 (about US$690, AU$900). Yes, this is still a chunk less than the Samsung Galaxy S7 - but considering the specs difference it seems like a small price to pay for so much extra. If you're willing to spend £449 on a phone, chances are you'll be willing to pay that little bit more. Conversely, an iPhone SE - a mid-range device with a lot of polish - undercuts it at £359 (US$399, AU$679). Why would you go for a P9 in this instance? If it wants to challenge the premium devices, the company needs to make the software as slick as anything comparable from Samsung, and focus on building in the de facto standard features. Forget about the knuckles - and focus on squeezing out a QHD display on to its devices. If it wants to go for the budget crown, then similarly forget about the knuckles: Focus on making a really great experience from all of the core features. Huawei - it's time to pick a side!